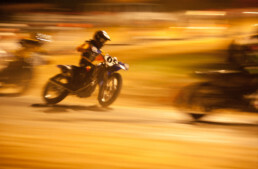 What do you get when you combine drag racing, motocross, and a vertical surface? 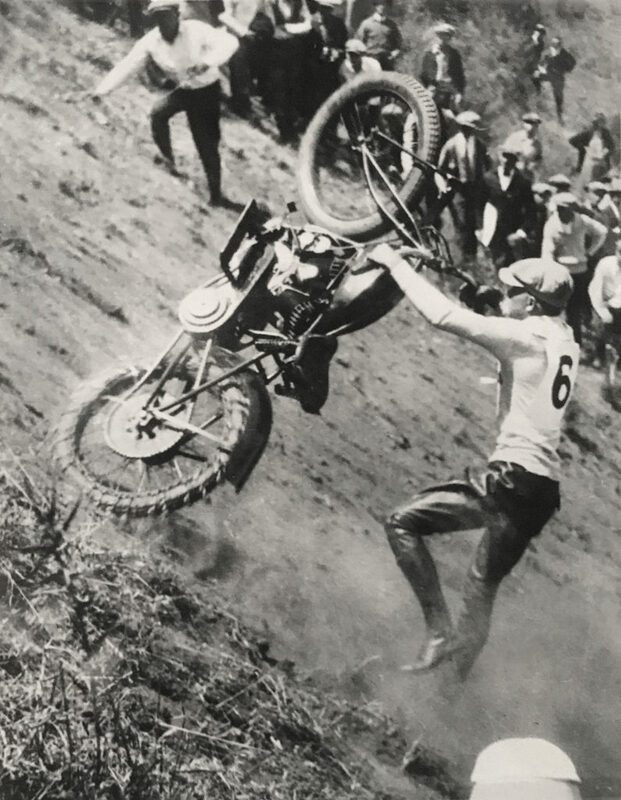 Hillclimbing, the American way! 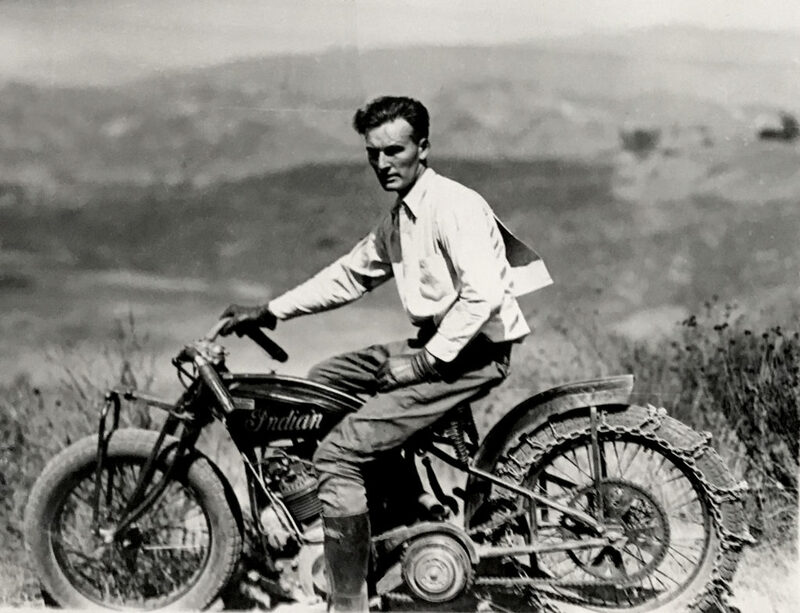 Two-wheeled motorsport in the USA went through dramatic changes before WW2, but it was hugely popular, depending on what ‘it’ was. From around 1910, Board Track racing fascinated crowds of tens of thousands, crammed into bleachers and peering over the banked wooden speed bowls, risking their heads (literally) as the riders risked their hides. With the press calling them ‘murderdromes’ by the ‘Teens, and the sanctioning bodies losing their taste for 100mph bloodsports, the Board Track era died by the early 1920s. 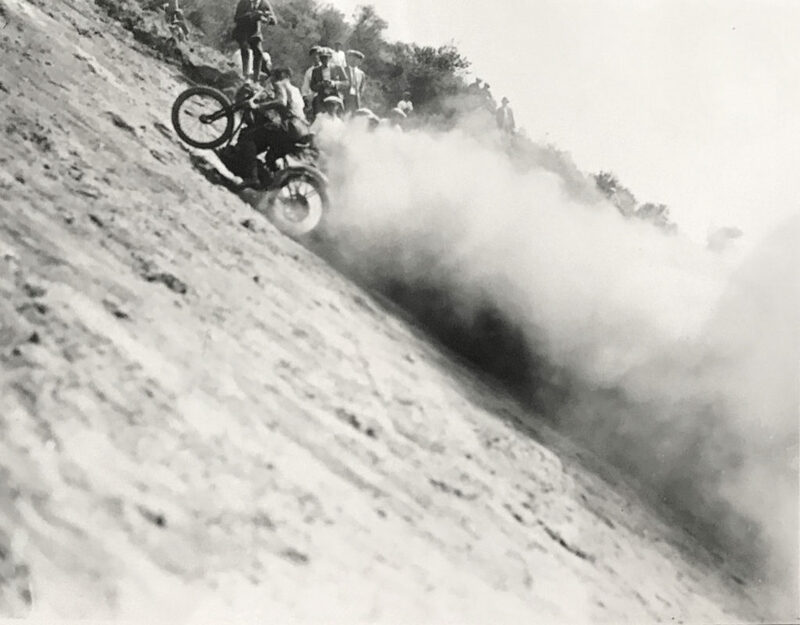 Those specialized wooden racing tracks then gave way to the most basic of racing surfaces – dirt – that became nearly the rule in American racing for the next 40 years. 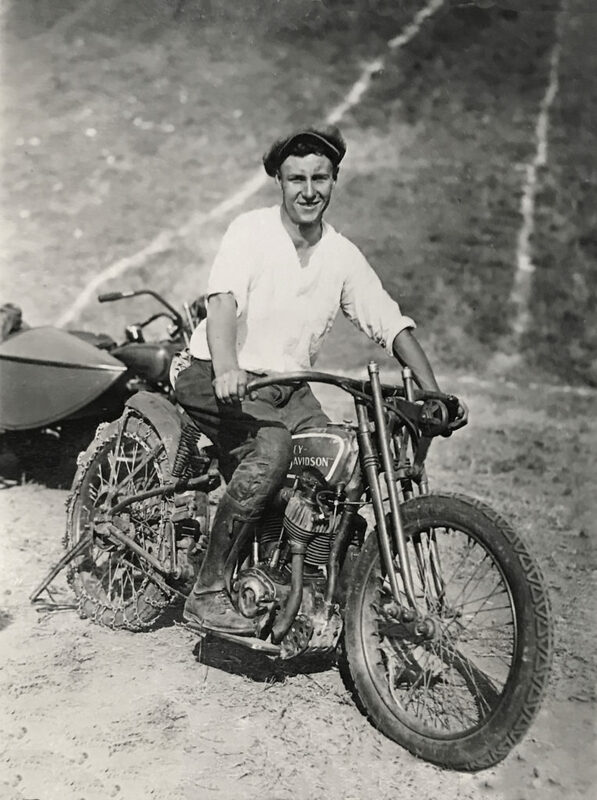 Dirt Track racing on oval circuits had long been an American pastime, but the energy of the sport changed dramatically when it was re-imported from Australia, and the Golden Age of Dirt Track began in the mid-1920s. Crowds of tens of thousands once again thronged race tracks from London to Buenos Aires to Los Angeles to Sydney, and specialized racing bikes like the Douglas DT5 and Rudge Dirt Track were kings of the broadslide, and riders like Sprouts Elder and Frank Varey became international stars, and very rich! 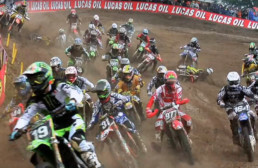 Another sport grew right alongside Dirt Track as an incredibly popular spectator sport, spawning freak machines that were useless in any other situation: Hillclimbing. While European-style hillclimbs had been around on US roads since the early ‘Noughts, the sport of vertical drag racing was another matter entirely, and far more spectacular. 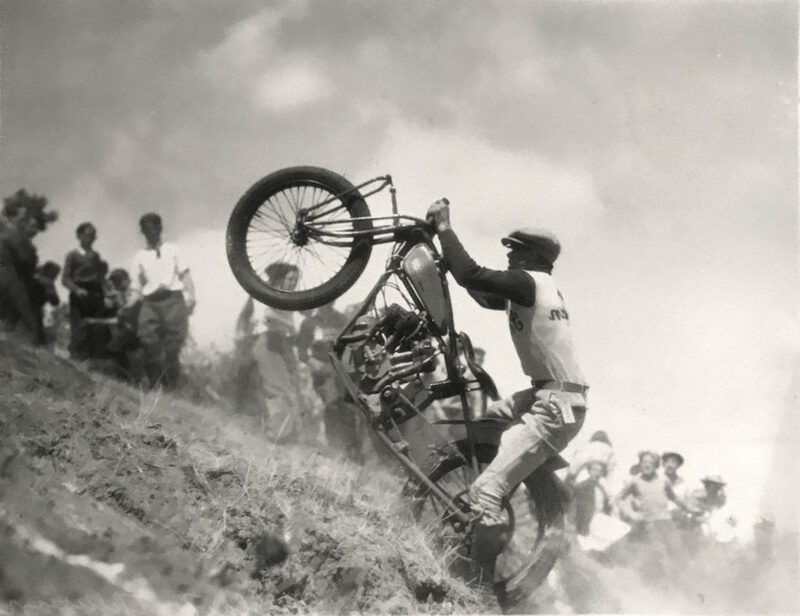 Riders gunned their highly-tuned, alcohol-burning motors from a standing start at the bottom of an incredibly steep hill, and let ‘er rip. 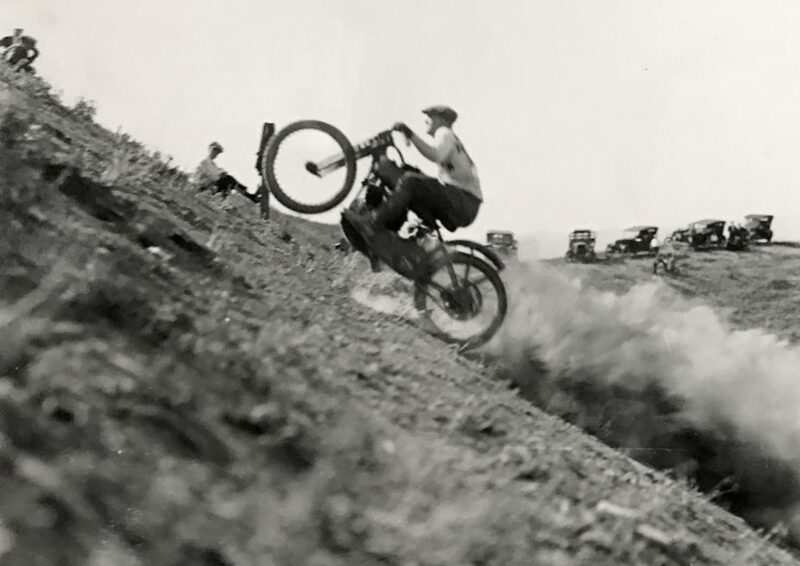 With the machine bucking like a wild animal over a completely ungroomed surface, an enormous rooster tail of flung dirt behind the bike, and a tremendous roar, it was everything a spectator could want in a sport, especially as the success rate on many hills was almost zero. 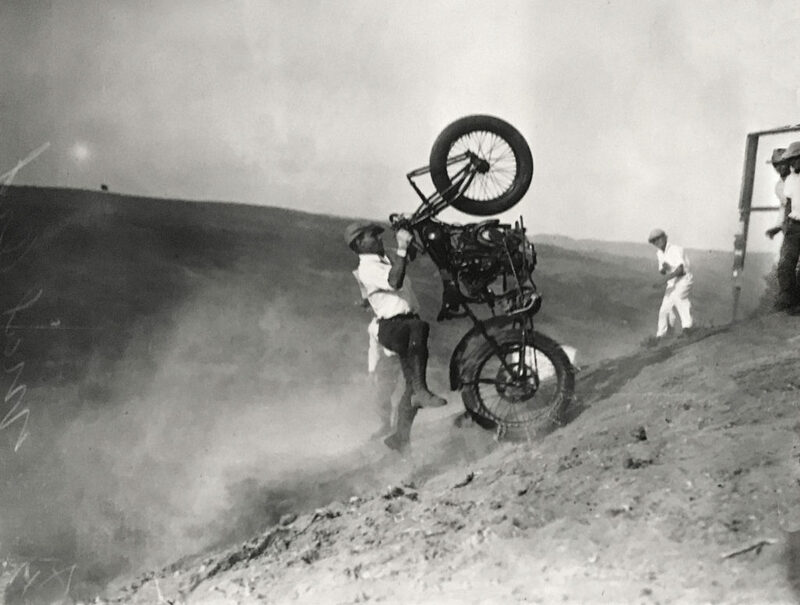 Riders had to be grabbed by helpers holding ropes to keep them sliding right back down the hill they’d come up, after their machine stalled or – even better – flipped end over end. 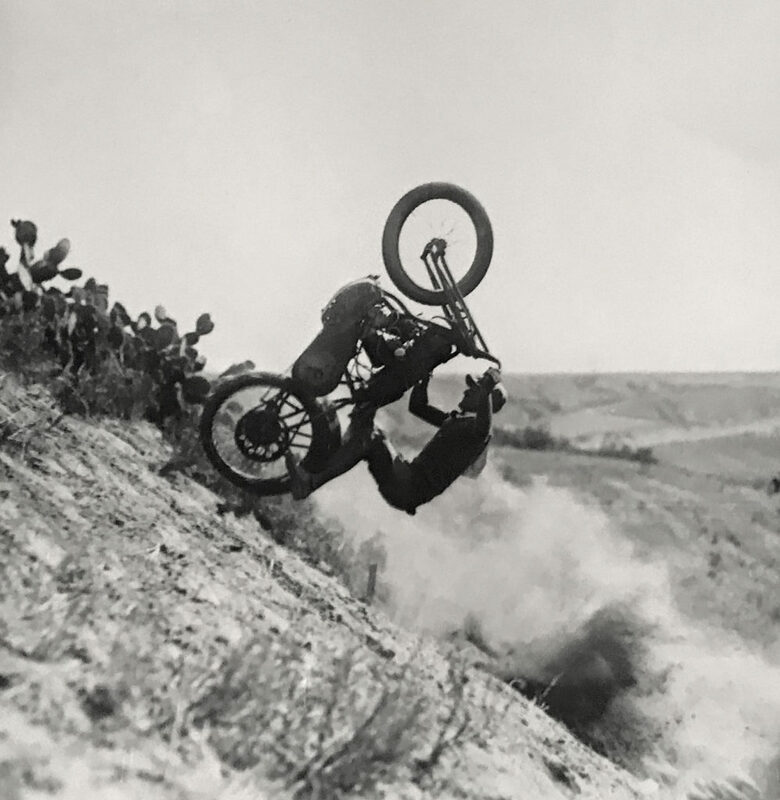 The sport is still popular in some areas, and the routine is the same today as in the mid-1920s, when most of these photos were taken in California. 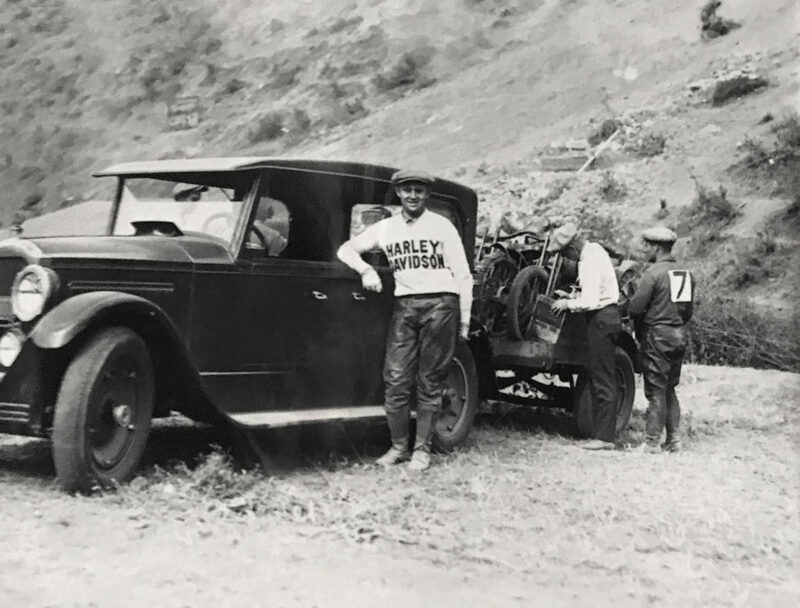 The first hillclimbers of the early 1920s were road bikes stripped down, with chains over the rear wheels to help traction. 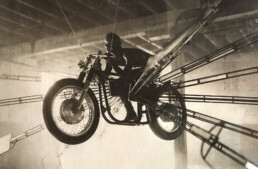 They soon developed into factory-built specials with extra-long frames, engines at the pinnacle of racing development (whether Sidevalve, IoE, or OHV). The riders were big stars, and raced on other surfaces too, but the challenge of a taming an enormous hill was a lure these tough-guys couldn’t resist. 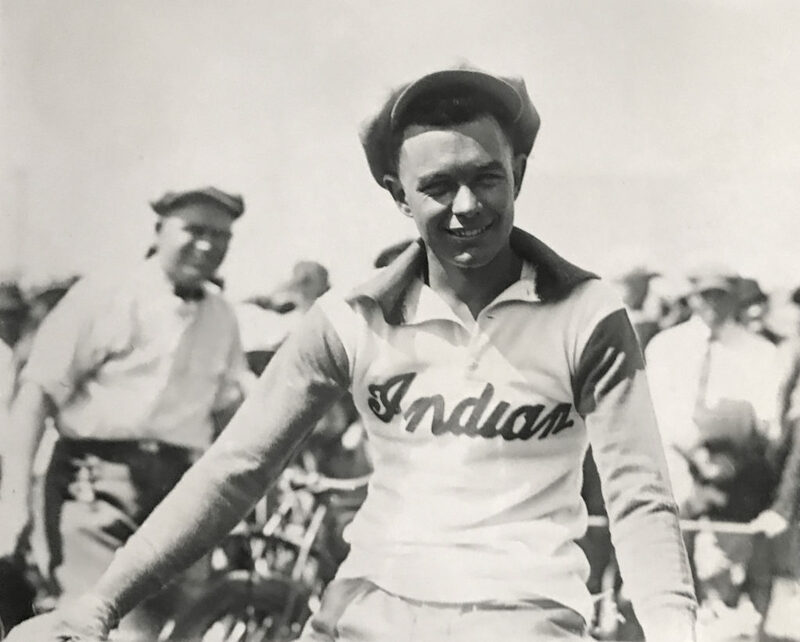 And tough they were, taking crazy spills on their bikes, and getting right back on to try again, as the prize money could be very large, and by the late 1920s, a National Championship had been established. And everybody wants to be the Champ!